Here are the famous Tervis Tumblers! These insulated cups keep hot drinks hot and cold drinks cold without sweating on your table. Pricing includes a set of four cups. These can be personalized with either a name, wording, or monogram. Lifetime warranty!! 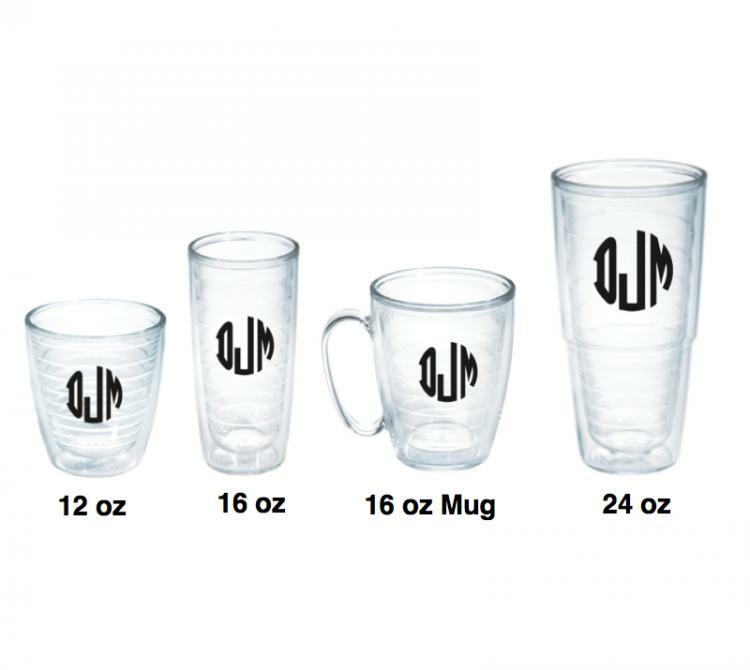 These monogrammed Tervis Tumblers make a great graduation gift. Please see our lids and straws to complete your order. Please choose from our oz. size 12,16,oz, 16oz. mug or 24 oz. 13 character max and up to three lines of text. The 16 oz mug and the 24 oz set of four will be 100.00 dollars.